Lexus has been known for introducing vehicles like the all-new 2015 NX that are not designed for specific categories. The all-new vehicle combines luxury with utility in a better way offering something new to the buyers. While the NX series started in 1998, Lexus has continued with better designs and this year they have introduced the new signature Lexus spindle grille and L-finesse design. The new vehicle will debut in two versions; the NX 200t and the NX 300h which is the hybrid version. Nexus NX 200t is powered by the turbocharged 2.0-liter four-cylinder engine that has a combination of the water-cooled cylinder head. It pumps out 235 horsepower and is mated with six-speed automatic transmission. The vehicle will be available with Dynamic Torque Control AWD system. On the other hand, NX 300h gets a 2.5-liter Atkinson-cycle engine with an electric motor that also has Lexus E-Four all-weather drive system and a new kick down feature. 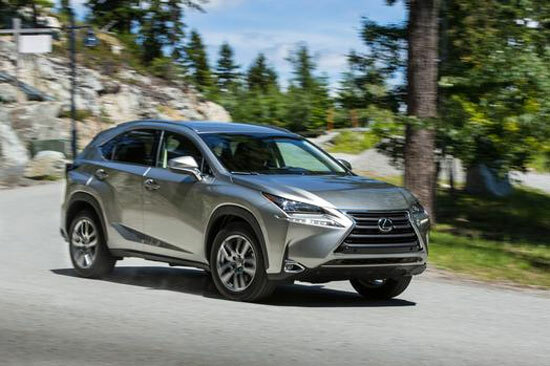 Lexus has not provided more information on the retail price of the new 2015 NX crossover vehicle.